In UConn’s commitment to developing active global citizens, Community Outreach is an important part in engage faculty and students in meaningful service activities that enrich their learning and enhance the quality of life for others in our communities. C2E2 actively support relationships with several community partners throughout Connecticut. We are committed to expanding awareness of the engineering disciplines among K-12 students and their teachers, and to provide tools, resources and mentorship to help engineering students fulfill their career dreams. GK-12 Program (Graduate STEM Fellows in K-12 Education) program is an innovative education program sponsored by the National Science Foundation. It aims to provide teaching resources to classrooms in the state of Connecticut Technical High School System. The program supports fellowships and training for graduate students in science, technology, engineering, and mathematics (STEM). Through interactions with teachers and students in K-12 schools, graduate fellows can improve communication and teaching skills while enriching STEM content and instruction for their K-12 partners. UCONN Engineering Ambassadors, the Engineering Ambassadors are the student representatives of UCONN’s School of Engineering. Engineering Ambassadors strive to raise awareness of the value of engineering and the need to increase interest in the field. We hope to connect people with UCONN’s School of Engineering. You will find us giving presentations and tours on campus to prospective engineering students and families. You will find our Presentation Team members in middle and high schools educating students on the importance of engineering to the health, happiness, and safety of our world. You will see Ambassadors on campus at special events and workshops. You will find Ambassadors after school supporting engineering clubs and hosting special after school workshops. Engineering Ambassadors support the School of Engineering by participating in Engineering Diversity Programs and by providing a volunteer force to serve the engineering community at UCONN. We hope that our presentations and programs play a role in changing the conversation that students are having about engineering. The da Vinci Project, a one-week residential program for middle and high school mathematics, science and technology teachers, who earned continuing education credits while gaining valuable insight into engineering fundamentals. In addition to 18 hours of coursework on fundamental engineering subjects, the teachers participated in a fuel cell workshop at the Center for Clean Energy Engineering in which they built and tested their own fuel cell from scratch while gaining in-depth understanding of the sciences behind fuel cell design. They also participated in special seminars, tours and demonstrations designed to broaden their’ understanding of how deeply engineering improves everyday life. The teachers also developed modules for integration into their classroom curricula. Joule Fellows Program, the Joule Fellows program provides teachers of science, mathematics, and/or technology with an opportunity to gain hands-on exposure to ongoing research in sustainable energy. To view a complete list of UConn’s School of Engineering outreach programs click here. EASTCONN is one of six Regional Education Service Centers in CT. EASTCONN’s Mission is to” initiate, support and facilitate partnerships, collaborations and regional solutions that are responsive to the needs of all learners through exemplary programs, products and services.” EASTCONN provides a wide variety of services to our partner school districts in Northeast CT. These services include adult education, early childhood initiatives, k-12 student services, organizational support services, teaching and learning and technology solutions. Recently EASTCONN visited C2E2 as an enhancement to their Inter-district program, “What Does Being Green Mean?” The objective of the program is to introduce students to practices that are considered green such as renewable energy, recycling, and integrated pest management. 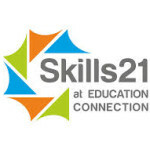 Skills21 at Education Connection – Redesigning Education. EDUCATION CONNECTION’s Center for 21st Century Skills believes the key to developing a generation of successful American innovators is to encourage the convergence of art, business, creativity, innovation, engineering, and science. Educating our youth to be thoughtful, ethical, and confident global citizens is critical to maintaining our nation’s preeminence in the global marketplace. Our organization is dedicated to creating opportunities for students to grow and thrive in all aspects of their school, life, and work. 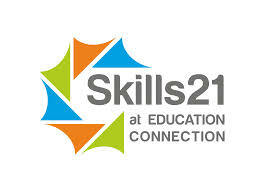 Click here to learn more about Skills21. CATALYST: Explorations in Sustainable Energy and the Environment, a program of the CT Center for Advanced Technology (CCAT), a not-for-profit organization that works with industry, government and academia to strengthen-led competitiveness. The Catalyst program is an inquiry and project based out-of-school-time program that guides students through the science of energy transformations, the many impacts of fossil fuel energy consumption, the growing issue of global climate change, renewable energy solutions, and ways to be more environmentally responsible. To learn more about CCAT and their programs click here.